My husband and I discovered Virgin Gorda in 1980, before most of the island even had electricity. As our three children grew, vacations included Virgin Gorda. We always looked for a special piece of OCEANFRONT land. In 1998, we found it and built our luxury villa, finished in December 2000! Our kids named it A DREAM COME TRUE! For fourteen years, I've dedicated myself to learning how to run a rental villa and train employees devoted to helping my guests have their BEST vacation ever! I am very involved in the maintenance and running of my villa. 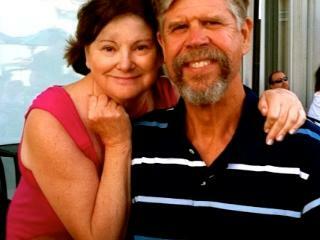 My husband and I make 4 to 5 trips each year to bring down new sheets, towels, lamps, soaps, DVDs, iPod chargers. You can not imagine what six suitcases can hold each trip! I act as my guests VIRGIN GORDA CONCIERGE in advance of their stay, and I will help them find exact flights for everyone in their group, assist with hiring a private chef, advise on snorkeling or scuba trips, recommend my favorite restaurants, etc! We have ALL 5 STAR reviews, and I'm SO proud! 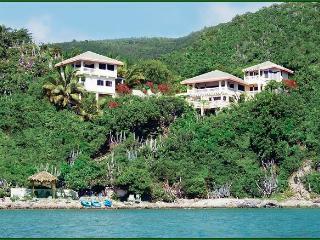 We are always improving our 5-star villa to keep it the best available on Virgin Gorda. In March 2014, we were named "TOP VACATION RENTAL - VIRGIN GORDA 2013." This is the 3rd year in a row we've earned this distinction! One of the reasons why all of our guests reviews are 5-stars is that are always upgrading our luxury villa. In November 2013 we rebuilt our beautiful horizon pool with RiverRoc surfacing and gorgeous turquoise glass tiles that match the color of the Caribbean Sea. We also updated the decor in the Great Room and all 5 Bedroom Suites. And now we have a brand-new, larger professional gas grill since so many of our bookings are for 10 to 14 guests. Always check to see if we have a Special Offer or Last Minute Offer. by calling 978.283.0669. Hope to help you plan your best vacation ever soon! OCEANFRONT LUXURY! 92 5-STAR REVIEWS ~ Perfection plus Chef's Welcome Dinner!